The original inspiration for the whole-airplane parachute on the Cirrus airplane was a mid-air collision that could have led to tragedy. But instead it led to the creation of CAPS® – the Cirrus Airframe Parachute System® – the most significant safety innovation in over a half-century of general aviation. From the start of our company, each and every day, the profound passion for everyone at Cirrus is to create safer airplanes, safer pilots and safer skies. Not just for Cirrus pilots, but all pilots. Flying safely will always be our most fundamental mission. The jury is in. The case is closed. CAPS works and it saves lives. In fact, there are 142 people alive today because a Cirrus pilot pulled the chute in time to avert a tragedy. Our commitment to CAPS training only gets stronger when we realize that over 100 serious injuries and fatalities could have had different outcomes if the pilot in command of the Cirrus deployed CAPS. Don’t become one of these tragic statistics. The Chute Will Do Its Job, If You Do Yours. CAPS is a truly remarkable safety innovation. But every new and innovative device requires training to master. CAPS is about more than just pulling a handle. It takes training and a safety-first mindset to make CAPS deployment an instinctual act in situations where you have lost control of the airplane. To support our pilot community, we have developed a wide range of reference materials and training resources. That is why we recommend recurrent training that includes CAPS deployment scenarios as an area of focus every twelve months. Part of our commitment to safety includes creating and promoting access to the training resources you need to be the safest pilot possible. Please make use of these materials and be sure you take advantage of the training and support that has been created for your benefit. 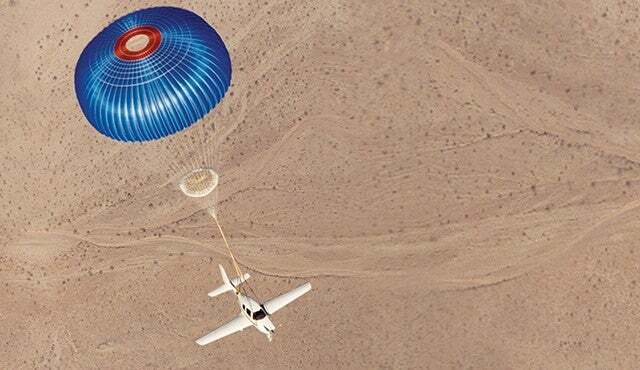 Introduction to the Cirrus Airframe Parachute System - History, statistics, and best practices. Though simple, each Cirrus pilot should be familiar with the procedures surrounding a CAPS deployment. Every Cirrus Pilot should complete this syllabus every twelve months from a qualified Cirrus instructor. CAPS Is There For A Reason. Be Prepared. CAPS has proven it can save lives, but only if it is understood and used at the right time. We hope you will take advantage of the information, resources and training that we provide to help assure that, should the situation arise, you are ready to deploy CAPS and have a safe outcome for you and your passengers. To find the training facility nearest you, or for assistance related to any safety training question, please call us today at 218.788.3261.